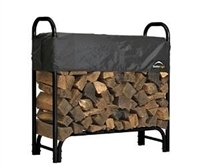 Keep your firewood neatly stored and ready to use year round with this covered firewood rack from ShelterLogic. 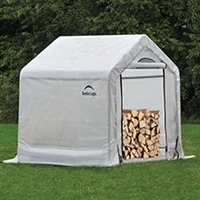 It keeps wood off of the ground to prevent bugs, mold growth, and rotting, and its open-air design delivers excellent ventilation--perfect for seasoning firewood. 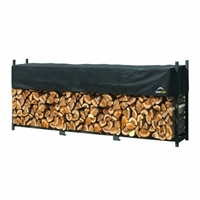 The waterproof cover adjusts to fit split wood up to 24 inches long, and it slides up and down to fit height of wood stack. 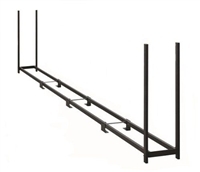 Easy to assemble, it offers an all steel frame construction with a stylish black powder coat finish. It comes in multiple sizes to fit your needs. Storage - Holds up to 7 cords of wood.